If we talk about Julien Sandre, we can’t fail to mention the legendary French Touch that’s rooted in his artistic soul and characterises all he does. Frankie Knuckles, Marshall Jefferson, the MAW, Todd Terry and Paul Johnson are just some of the influences that encouraged Julien to buy record decks, start collecting vinyl and enter the world of DJing. His natural evolution has lead him to explore the more electronic and hypnotic styles of Ricardo Villalobos, Ivan Smagghe and the Parisien scene headed up by Apollonia’s Dan Ghenacia. 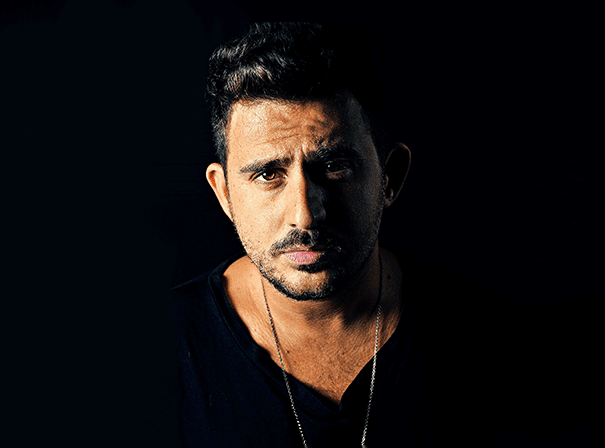 The variety of musical influences that characterise his background are translated into eclectic sets that take him to the finest underground clubs in the world. Never dull, with a great mood and tempo and always loved by the dancefloor, Julien is a very special DJ talent. The natural path of musical development led this man to start producing music a few years ago and now the desire to fully express his ideas and to emerge into the world of clubbing has given a certain resonance to his name and his musical ideas. Releasing on labels like the massive Diynamic, his first track “Satisfaction” obtained full approval and got played by the greatest DJs of the international scene; it also reached the top 10 on Beatport and the top 50 on Resident Advisor. Many more such delights have followed on labels like One Records, TSUBA and Morris Audio, as well as These Days, A-Votre and the massive Hot Waves (Hot Creations).